Act as a CIO: serve as your Chief Technologist on a part-time and/or interim basis. This can be helpful for an org that is either just setting out to implement technology strategy and/or infrastructure, or needs to reassess what they have in place, but doesn’t want to commit to hiring a full-time employee in the role. By working as an embedded contractor, I can get to know a company’s people, processes, and culture in order to provide relevant and effective tech recommendations. I can also work with existing staff to refocus IT attitudes and organizational engagement. Assess your Technology Systems: hardware, software, people, and processes. Identify the technology solutions that will meet your mission’s goals and develop a roadmap to work from. Perform Business Process Analyses around technology and data use. Determine the key processes that major systems need to support and automate prior to a major system selection or upgrade. CRM (Constituent/Donor Relationship Management), ERP (Enterprise Resource Planning, e.g. Finance, HR, backend automation), DMS (knowledge and information management systems), and AMS (Association Management Software), to name a few. Oversee Software Selection Processes: from determining needs, identifying applications and vendors, assessing the systems (RFPs, Demos), and negotiating the contract. Mentor Technology Staff and help strategically develop information management and technology support processes in an organization. Advise on Information Security, and/or manage a vendor performing an assessment. Review, Revise, and Develop IT and Security Policies. In addition to my broad experience and expertise in nonprofit tech, I have a wide network of experts and consultants to support my work. My resume is here, and my LinkedIn profile is here. And I’m easy to contact as psc here at techcafeteria.com or peterscampbell at Google’s email service. This entry was posted in Life, Miscellany, NPTech, Recommended Posts, Technology and tagged cio, cloud, collaboration, communication, consulting, CRM, data, email, linkedin, management, project management, security, software, strategy, tech support on August 27, 2018 by Peter Campbell. Last winter, I took on a project for the Michigan Advocacy Program (MAP) and Idealware developing a toolkit for implementing knowledge management at your organization. This project was funded by a Technology grant by Legal Services Corporation, my erstwhile employer. While geared somewhat for legal aid programs, the toolkit is fully usable for all sorts of nonprofits and businesses. It focuses primarily on document management, but includes advice on email, social media, and even non-technical information management practices. The goal of the toolkit is to help orgs capture and easily manage not only the work product that they create, but also the thought processes behind that work. Too often, I’ve been at nonprofits that, after key turnover, knew what they had, like offices in certain cities and various programs and initiatives, but didn’t necessarily retain the reasoning behind the opening of those offices, or the strategy in pursuing some grant. Knowledge M anagement is about having all of the information that goes into your mission-based work at your fingertips. And this toolkit, hopefully, is a useful roadmap for implementing information management and knowledge capturing systems that will keep you focused on your key objectives. I hope that it will be helpful. You can download the toolkit (for free!) here. MAP has released an additional toolkit on securing your organization, and is funded to release two more. Idealware is overseeing the development with the help of subject matter experts like me. More evidence that the nonprofit sector is the BEST sector! This entry was posted in Access to Justice, NPTech, Technology and tagged document management, idealware, knowledge management, MAP, software, strategy on March 23, 2018 by Peter Campbell. Last week, at the Nonprofit Technology Conference, I co-led a session on “Leading in Uncertain Times” with my friend Dahna Goldstein. At one point, while discussing layoffs, an attendee asked a question that I heard as “Aren’t layoffs a good opportunity to lose the organizational dead weight?” and before I had time to edit my reaction, I just blurted out “I don’t approve!”, getting quite a laugh from the room – a good feat when one is discussing layoffs. 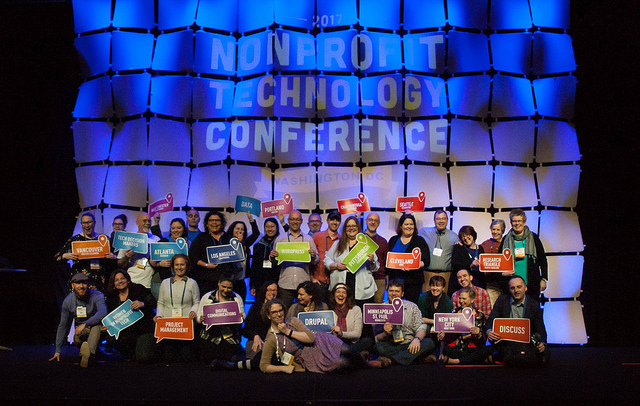 On Monday, my nptech doppelganger, Steve Heye, blogged about the conference and included the meme to your left, leaving me to conclude that there is no better excuse for a long overdue rant blog! Unequal pay. 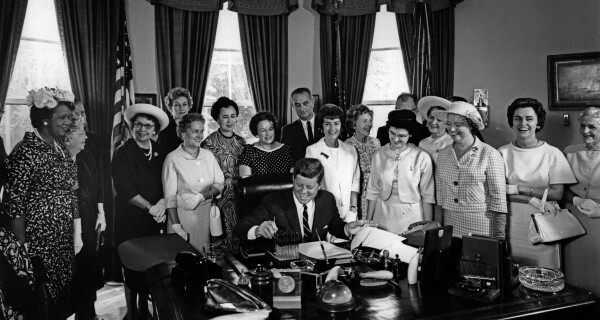 Yesterday was Equal Pay Day, a day so named because if one were to take the 93 days of 2017 that to that date and add them to the 365 days of the full year, that would be the number of days that a woman has to work to earn as much as a man doing the same job, per the current wage gap. And, as Lily Ledbetter pointed out at the “Salesforce World Tour” event that I was at, lower pay means many things, including lower retirement earnings. Salesforce shows a lot of leadership here – they have now twice made salary adjustments to address this gap. One three years ago when they first acknowledged that they, like most companies, and particularly tech companies, engaged in this discrimination; then this week, after buying out 14 companies and inheriting their equal pay problems. Here’s hoping that other tech companies start following their lead! manufacturer. And this week we got a device that checks to see if your garage door is closed from a manufacturer who will brick the gadget if you give them a bad review on Amazon. It’s not just the complete disregard for security that allows bad actors to say, hack your car and steer it off a cliff – it’s the bad ethics of the former retailers/now service providers who can void your investment by simply unplugging their server – or deleting your account. This whole futuristic trend needs to be regulated and run by people who know what they’re doing, and aren’t completely inept and immoral. The Walking Dead. My son and I watch this show religiously, and we’re beginning to wonder why. As one of my heroes, Joe Bob Briggs, used to say “There’s too much plot getting i n the way of the story!” I’ve read the comics (or, more accurately, the compendiums), that take me a bit past the Negan storyline, and they do things much, much better than the show by keeping the story moving without stretching out the violence to completely cringe-worthy extremes. Bad things happen, but they propel the story, as opposed to drowning it. The White House Budget Proposal. I try and keep the politics subdued on this blog, but that’s hard to do when the proposed budget zeroes out funding for the Legal Services Corporation, where I work. It’s hard to see how our patriotic mission – pulled right from the constitution – isn’t worthy of the relatively small amount of federal funding that we receive. We insure, as best we can at our funding levels, that Americans have equal protection under the law. Because, in most jurisdictions, the court only appoints an an attorney in criminal matters, not civil matters like foreclosures, family law, domestic abuse, and consumer fraud. Defunding LSC would unfairly deprive a vulnerable populace of the access to justice that our country was founded on. They’ll be at the mercy of unethical landlords, banks, and abusers who can afford attorneys. The courts are overwhelmed with defendants who are poorly prepared to defend themselves, but have no other choices if they can’t get legal aid. We’re optimistic that Congress, who sets the budget, will reject this recommendation and continue to fund us, but it’s shocking that the White House can’t see the core American principle that we seek to protect. There are plenty more things that I disapprove of, like the overhead ratio, beer made with cherries, and don’t get me started on any recent Batman or Superman movie! What’s irking you these days? 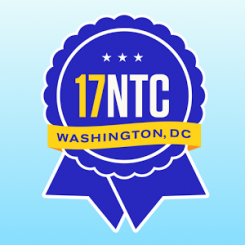 This entry was posted in Access to Justice, Life, NPTech, Technology and tagged 17ntc, equal pay, iot, NTEN on April 5, 2017 by Peter Campbell. I’m back from NTEN’s annual conference, the biggest one ever with 2300 attendees here in DC. 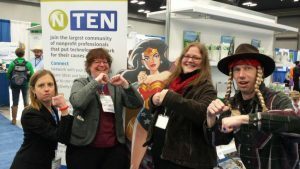 NTEN’s signature NPTech event continues to pull off the hat trick of continual growth, consistent high quality content, and a level of intimacy that is surprising for an event this large. It’s a big, packed tech conference, but it’s also a few days with our welcoming, engaging community. Here’s my recap. I learned much about the challenges in offering shared IT services to nonprofits, with an in-depth look at the work of the Massachusetts Legal Assistance Corporation, who offer discounted, centralized IT to legal aid programs. Their biggest lessons learned have been about the need to communicate broadly and bi-directionally. Shared services benefit the budget at the cost of personalization, and clients need to both understand and have a say in the compromises made. You can learn a lot more by reading the Collaborative Notes on this session. Next, I learned how to move from a top-down, siloed organizational culture to a truly networked one (with great wisdom from Deborah Askanase and Allison Fine, among others). A great example was made by Andrea Berry, whose small foundation, Maine Initiatives, recently moved to crowdsourcing grant proposals, a move that is threatening to traditional funders, who want more locks on their purse-strings, but empowering to the community. Here are the notes. Finally I attended a powerful session on managing your nonprofit technology career, with great presenters (and friends (Johanna Bates, Cindy Leonard, and Tracy Kronzak (who just landed a gig at Salesforce.org). They made great points about how imposter syndrome can hold people back – particularly the “accidental techies” that come to their technology career through nonprofits. Their advice: plow through it. You’ll question your competence, we all do, but the trick is to be confident anyway. I stayed after the session helping out with some of the tough questions from people who are trying very hard to move into tech positions without the degrees and focused expertise sought. At nonprofits, we tend to be generalists, because we’re expected to do everything. Notes are here. On Saturday, I had a blast attending Joshua Peskay and Mary O’Shaughnessy‘s session on IT Budgeting. After covering all of the nuts and bolts of putting together an IT budget that, in particular, identifies and eliminates wasteful spending, they broke the room up into groups each putting together a quick tech budget. I was drafted (along with fellow senior techies David Krumlauf and Graham Reid) to act as the board charged with approving or denying their budgets, Project Runway-style. I now think that I’ve missed my calling and I’m looking for someone to produce this new reality TV show. Here are the notes. #ntcbeer! was a bit smaller than usual this year, due largely to my not getting my act together until Jenn Johnson swept in to save it. 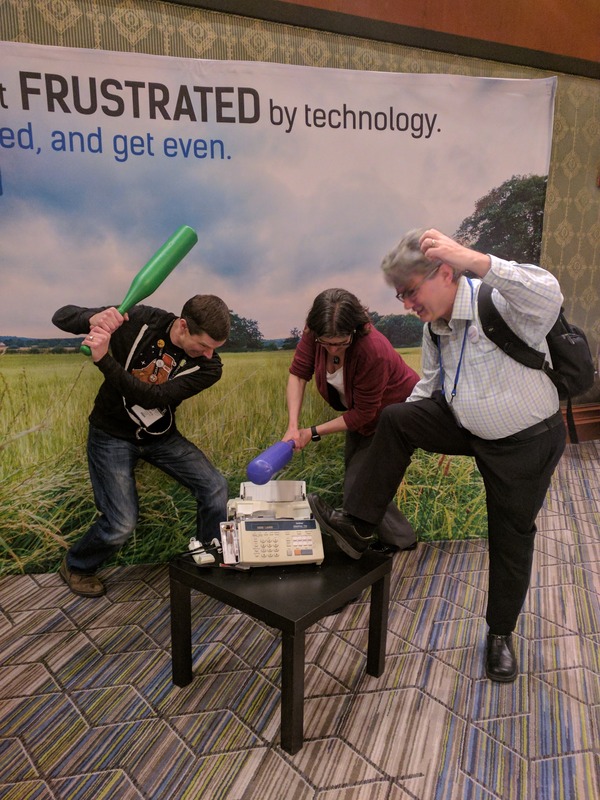 Didn’t matter – it was still the fun, pre-conference warm-up that it always ends up being. Next year we”ll go big for the tenth annual #ntcbeer in new Orleans. Dinner Thursday was a pleasant one with friends old and new from Idealware, TechImpact, Bayer Center for Nonprofits, and more, including my traditional NTC Roomie, Norman. Friday morning started with an Idealware reunion breakfast at the posh AirBNB that the Idealware staff were staying at. Great to see friends there, as well. I’ll admit at the end here that I went into his NTC, my eleventh, wondering if it was getting old. It isn’t. As usual, the content was rich, and the company was excellent. Nobody throws a party like NTEN! 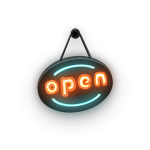 This entry was posted in NPTech, Technology and tagged 17ntc, career, leadership, management, ntcbeer, NTEN, roi, strategy on March 30, 2017 by Peter Campbell. I’ve been doing these “where I’ll be at the NTC” posts for many years, but this year I’m lagging behind the pack. Steve Heye and Cindy Leonard have beat me to it! But I’m excited to be back at NTC after a rare skip year. This will be my 11th ride on the NTC train and it is always a great one. First up on Wednesday will be #ntcbeer! 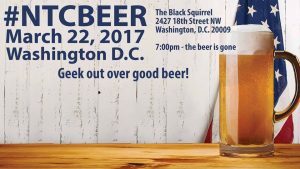 This year we’re back at the Black Squirrel, the place we filled to capacity three years ago, but larger options weren’t really available. Booking the Squirrel was a bit last minute, and it supersedes a plan to just have groups self-organize, which wasn’t going to work too well. For those of you counting, this is the 9th annual #ntcbeer, so 2018 will mark a decade of social good-minded geeks raising pint glasses and chatting away in anticipation of the packed event dead ahead. On Thursday, I plan to start my day early at breakfast – one key to a great NTC is taking every available opportunity for a quiet chat with an old or new friend. Then I’m attending “Shared IT Services in 2017—Nightmare or Dream Come True?“, so that smart people like Karen Graham and David Krumlauf can school me. This is assuming that David isn’t too hung over after #ntcbeer – I’m glad that my sessions are on Friday! After that, I’m torn. I might go to “Yes, We Need a Technology Plan, but Where Do We Start?“, which has some smart presenters and is a topic close to my geeky heart. But maybe too close, so I’m also considering “Scale Change, Activate Support, and Invite Stakeholders Inside through Network Leadership“. That one’s headed up by Debra Askanase, and is bound to be good. For the third session on Thursday, it’s an impossible choice. Should I go to Johanna Bates and Cindy Leonard‘s “From Accidental to Intentional: Taking Your NPtech Career to the Next Level“? or Steve Heye and Peggy Duvette‘s “The Role of Technology in Managing the Operations of a Nonprofit“? Help me out here. And, given that Cindy Leonard and Steve Heye are the two people to the right in the picture below, factor their appearance into your argument, please! On Friday morning, assuming I’ve recovered from the progressive parties, I’ll be presenting with my friend Edima Elinewinga, VP of IT at the UN Foundation, on “The Fully-Informed Approach to Calculating Return on Investment” in room Maryland C. This session is an expanded talk based on my recent Techsoup article on Calculating ROI and Edima’s experiences. If you want to discuss strategies for assessing the value of strategic technology investments, as well as promoting an organizational culture that knows how to make smart decisions, this session is for you. Following that, at 1:30 I’ll be presenting with Dahna Goldstein on “Leading in Uncertain Times” in the Coolidge room. Topical, given press reports that my place of employment might be defunded (we are confident that we have solid, bipartisan support on the hill that will keep this from actually occurring). But we all know that nonprofits are often at risk, from economic downturns, variances in funding sources, and political or social circumstances that impact our mission-focused strategies. We’ll discuss how an organization can be agile in times of uncertainty, with a focus on tech. Do you work in Legal Aid? And are you going to NTC? Then definitely ping me – if there are enough of us, we should have dinner on Friday night. On Saturday morning, “Nonprofit Execs Talk about Strategic Assessment” looks good to me, followed by Joshua Peskay‘s “The Dollars and Sense of Nonprofit Technology Budgeting“. The big event is less than two weeks away as I type this. I hope to see you there! This entry was posted in NPTech, Technology and tagged disruption, leadership, management, ntcbeer, NTEN, strategic planning on March 10, 2017 by Peter Campbell. Some say life’s a gamble. But gambling can be very random, as in the rolling of a die, or very scientific, as in the calculation of odds and percentages. Investing in technology should not be a gamble, in as much as you can predict what it will do for you. In the standard business lingo, we call this prediction “return on investment” or “ROI.” And whether you calculate that with all the vigor of two college students on a weekend trip to Reno, or a scientist who deeply understands the odds, is important. In this article, we’ll discuss the many factors that go into a fully informed determination of the ROI for a technology project. The simplest definition of ROI is that, for any project or purchase, it’s the amount saved or realized minus the cost to invest. If we spend $75 for a new fundraising widget for our website, and we make $125 in donations from it, then our return on investment is $50. Or maybe not, because we invested in web developer time to deploy the widget to our website and staff time to process the donations. Plus, we spent a portion of each donation on credit card processing fees, right? So ROI is not a strictly financial formula. Actual ROI is based on many factors, including hard-to-quantify things such as organizational culture, training, and readiness for adoption. The benefits of a major tech investment are proportional to the readiness of your particular organization. Let’s try another example. We’ll spend $2,000 to upgrade to a new version of our fundraising system. It boasts better reporting and data visualizations, which, per the salesperson, will allow us to increase our donations by 10 percent. We think we’ll make $10,000 a year in additional donations, and expect the upgrade to benefit us for two years. So the strictly financial return is $18,000 ($20,000 new revenue – $2,000 upgrade cost). But that 10 percent increase isn’t based solely on having the new features available in the product; it’s based on using the new features strategically, which your staff might not know how to do. It assumes that the software will be configured correctly, which assumes you are fully cognizant of your needs and processes related to the information that the system will manage. And it assumes that you have a staffing level that might be larger than you can afford. The concept here is pretty simple: it is easier to bake a cake from a recipe if you buy the ingredients beforehand. Then you need to have all of the required mixing implements and receptacles, clear the necessary counter space, and know how to turn on the oven. Similarly, successfully calculating the return on investments requires having a complete picture of what you will be investing in. Do I understand what improvement this investment will result in and/or the problems it will solve?Core to measuring the return on the investment is knowing what it is that you have to measure. That will be some quantifiable amount of anticipated revenue, productivity gain, staffing reduction, or increase in clients served. You should know what those metrics are at the start of a project. Have I thoroughly considered the staffing changes that this investment might enable or require?For any large investment, like a new fundraising database or constituent management system, or a new, complex initiative, you want to know upfront how your day-to-day operations will be impacted. A new system might automate laborious processes, allowing you to repurpose staff. Or it might well require additional staffing in order to maximize the return. Those costs or savings are a key factor in the ROI. Do I have the necessary buy-in from the board, executives, and staff that will result in a successful implementation?Key to any large project’s success is having the support from the key decision makers. If you’re in middle management, and your initiative is not well understood and appreciated by those in charge, then there’s a significant chance that the project will fail. As right as you might be that your organization would benefit, again, the return on investment requires that the organization is invested. Have I identified any required training and ensured that we have the resources to provide it and the time to take it?So much of the value in a new system is derived from people knowing how to use it. In resource-strapped nonprofits, training time is often seen as frivolous or less important than whatever the crisis du jour might be. Don’t let that happen, because what you get out of a system is all contingent on being able to use it well and strategically. Without training, people will tend to try and emulate what they did before the new system was in place, and that will more likely reduce your return than produce it. There are some techniques for calculating ROI. As noted above, you should start with metrics that identify your current conditions and can be tracked after implementation. These might be dollars received, hours spent doing tasks, or number of employees dedicated to a process. Consider this your baseline. From there, you can forecast a scenario based on the advantages that you anticipate having upon completion of the project. For example, if your current fundraising system can’t track multiple donors at the same address, then you’re probably expending time and effort to track such things in creative ways. A system that properly supports “householding” will eliminate the workarounds that you’ve created to maintain that data. You can estimate the time saved. Once completed, these before and after numbers will help you quantify the anticipated return, as well as guide the implementation. That’s because the forecast is a set (or subset) of your goals. Be sure to track both short- and long-term impacts. One basic calculation is a 5- or 10-year financial analysis. It’s not uncommon to have increased implementation costs in the first year, so tracking the annual cost fluctuations over the expected life of the investment will give you a better picture of its value. Other things might impact revenue as well, such as improved marketing, so we’re only tracking anticipated revenue associated with this investment. Finally, don’t work in isolation. Talk with peers who have done similar projects. Find out what worked for them and what didn’t, and what successes they were able to measure. Much of this forecasting is based on speculation, and your job is to fact-check that speculation and get it closer to reality as much as you can. As noted above, you should start with metrics that identify your current conditions and can be tracked after implementation. These metrics could be dollars received, hours spent doing tasks, or number of employees dedicated to a process. Checking your work may seem unnecessary, as the dollars have already been spent, but tracking your progress is the best way to improve on calculating ROI on subsequent investments. You can learn a lot, not only about the particular project, but about your organizational effectiveness as a whole. This is the secret: it’s not the return on the dollars spent. It’s the improvements in your organizational capacity and efficiency that can be made if you develop a culture that can predict which investments are worthwhile. This entry was posted in Articles, NPTech, Recommended Posts, Technology and tagged budgeting, management, roi, strategy on July 19, 2016 by Peter Campbell. Last week, the house held hearings on the new overtime rules that double the base salary requirement for exempt employees. With these changes, if you make $47,476 a year or less, you can not be granted exempt status and, therefore, must be paid overtime when you work extra hours (per your state regulations). The hearings were dramatically one-sided, with t estimony from a stream of nonprofits and small businesses that oppose the increase. My hope is that the politicians that staged this play had to look pretty far and wide to find nonprofits willing to participate, but I doubt that they did. We can’t change the rest of the world by abusing the piece that we manage. If we want to cure diseases, reduce poverty, help Veterans or protect the environment, we can start by building an effective organization that is motivated and resourced to make a difference. And that means that we reasonably compensate our staff. 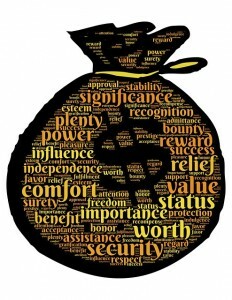 I’ve blogged before on my take that the perk of serving a personally meaningful mission can offset some of my salary requirements, but that the discrepancy between a nonprofit salary and what one could make next door can’t be too vast, because too large of gap leads to high turnover and resentment. What needs to be understood about this overtime law is that it isn’t setting some new bar. It’s addressing an existing abusive situation. The justification for exempt status revolves around the responsibilities an employee has, and their leverage to influence the success or failure of the company. Managers can be exempt. People with highly specialized skills can be exempt. And the odds are, if you have people on your payroll who, by being bad at their jobs, can sink your nonprofit, you’re already paying them $50,000 or more. It’s simple risk management: you don’t want to undervalue your critical personnel. Accordingly, if you’re Easter Seals of New Hampshire (one of the nonprofits that testified at the hearing), and you’re saying that this increase will destroy your business, then I’m here to tell you that it’s one in a number of things that are lined up to take you down, starting with the mass walkout you might experience if your overworked and underpaid staff get fed up. I’ve learned of nonprofits that exploit “apprentice laws”, allowing them to pay people as little as $5 an hour to do repetitive labor while the CEO makes hundreds of thousands. I regularly see talented people ditch nonprofits after two or three years of doing amazing, transformative work, but never seeing a raise for it (or a penny of overtime). It takes these orgs months on end to recover. And I’ve seen nonprofits loaded with staff that have worked there for decades, doing their job in the same ways that they’ve done them since “Microsoft” was a company name yet to be coined. Because paying people fairly and competitively isn’t a giveaway. It’s a sound business practice. And we can’t continue to say that we are the people improving lives when we’re abusing those closest to us. This increase is long overdue and, if it breaks the back of a nonprofit to compensate staff for working long hours, then they are supporting the wrong mission to begin with. 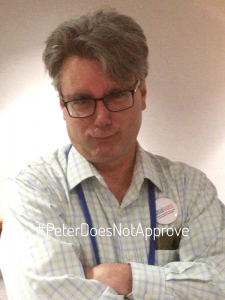 This entry was posted in NPTech and tagged career, compensation, leadership, management, overtime, strategy on June 13, 2016 by Peter Campbell. As you likely know, when Hillary Clinton was Secretary of State, she set up a private email server at home and used it for her email communication, passing up a secure government account. This was a b ad idea, for a number of reasons, primary among them the fact that sensitive information could be leaked on this less secure system, and that Freedom of Information Act (FOIA) requests could be bypassed. But the burning question, at a time when Clinton looks likely to be nominated as the Democratic candidate for President, is what her motivation was for setting up the server in the first place. Was it to bypass the Freedom of Information Act? Was it to easily trade classified materials, as her most critical accusers suspect? Or was it, as she claims, because she had a lot of personal email to send and she didn’t want to manage two accounts? This post doesn’t seek to answer those questions. Instead, it pitches yet another theory: that Clinton’s motivations might have had everything to do with technology and little to do with politics. Judicial Watch, a conservative foundation looking for evidence that Clinton broke laws in her handling of the email, received some fascinating information in response to a recent FOIA request. Upon joining the State Department in early 2009, Clinton immediately requested a Blackberry smartphone. Having used one extensively during her 2008 Presidential campaign, she, like almost every attorney in that decade, had fallen in love with her Blackberry, hence the request. After all, Condoleezza Rice, her predecessor as Secretary of State, had used one. President Obama had a special secure one that the NSA had developed for him. But they said no. Even after being called to a high level meeting with Clinton’s top aide and five State Department officials, they still said no.The NSA offered Clinton an alternative. But it was based on Windows CE, a dramatically different, less intuitive smartphone operating system. 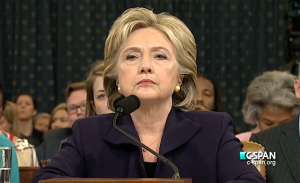 A month later, Clinton started using her own server. Judicial Watch claims that this info proves that Clinton knew that her email was not secure, but I think that she has already admitted that. But it also reveals something much more telling. As a three plus decade technology Director/CIO (working primarily with Attorneys), I can tell you that people get attached to specific types of technology. 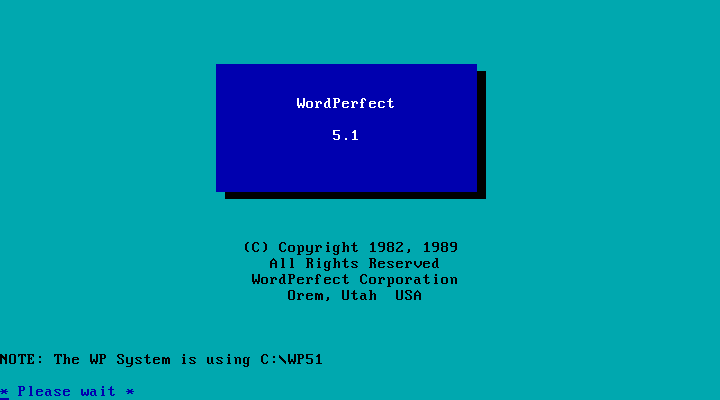 I know a few Attorneys who still swear to this day that Wordperfect 5.1 for DOS was the best word processing software ever released. And there are millions who will tell you that their Blackberry was their virtual right arm in the 2000’s. How devoted are people to their favorite applications and devices? 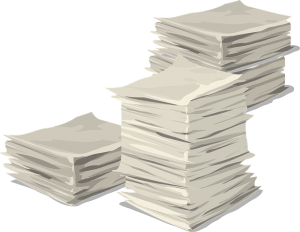 I worked for a VP who was only comfortable using Word, so when she did her quarterly reports to the board, she had her assistant export huge amounts of information from our case management system. Then she modified all of it in Word. Once delivered, she had her assistant manually update the case management system in order to incorporate her changes. Efficient? Not at all. But she loved herself some Word. I’ve seen staff using seven year old laptops because they know them and don’t want to have to learn and set up a new one. And it wasn’t until the bitter end of 2014 that both my boss and my wife finally gave in and traded up their Blackberries for iPhones. Again, the point here is not that Clinton should have ditched the secure, government system in order to use her phone of choice. In her circumstances, the security concerns should have outweighed her personal comfort. But for many, the desire to stick with tech that they know and love is often counter to logic, efficiency, security and policy. And most of us work in environments where bucking the system isn’t quite as dire as it could be for the nation’s top diplomat. “Shadow IT” is technology that users install without company approval because they prefer it to what’s offered. What I know is that I can’t secure my network if it’s packed with technology that my users hate. Smart people will bypass that security in order to use the tools that work for them. An approach to security that neglects usability and user preference is likely to fail. In most cases, there are compromises that can be made between IT and users that allow secure products to be willingly adopted. In other cases, with proper training, hand-holding, and executive sponsorship, you can win users over. But when we are talking about Blackberries in the last decade, or the iPhone in this one, we have to acknowledge that the popularity of the product is a serious factor in adoption that technologists can’t ignore. And if you don’t believe me, just ask Hillary Clinton. This entry was posted in NPTech, Politics, Technology and tagged adoption, email, FOIA, management, mobile, security on March 20, 2016 by Peter Campbell. This post was originally published on the NTEN Blog on December 24th, 2015. As years go, 2015 was a significant one in my career. The work of a CIO, or IT Director, or whatever title you give the person primarily responsible for IT strategy and implementation, is (ideally) two parts planning and one part doing. So in 2015—my third year at Legal Services Corporation—we did a couple of the big things that we’d been planning in 2013 and 2014. First and foremost, we (and I do mean we—I play my part, but I get things done with an awesome staff and coworkers) rolled out the first iteration of our “Data Portal.” The vision for the Data Portal is that, as a funder that works primarily with 134 civil legal aid firms across the U.S. and territories, we should be able to access the relevant information about any grantee quickly and easily without worrying about whether we have the latest version of a document or report. To reach this vision, we implemented a custom, merged Salesforce/Box system. This entailed about a year of co-development with our partner, Exponent Partners, and a move from in-house servers to the Cloud. We’ll complete our Cloud “trifecta” in early 2016, when we go to Microsoft’s Office 365. This was particularly exciting for me, because I have been envisioning and waiting for technology to reach a level of maturity and… collegiality that makes the vision of one place where documents and databases can co-exist a reality. Integration, and one-stop access to information, have always been the holy grails that I’ve sought for the companies that I’ve worked for; but the quests have been Monty Python-esque through the days when even Microsoft products weren’t compatible with each other, much less compatible with anything else. What we’ve rolled out is more of a stump than a tree; but in the next year we’ll grow a custom grants management system on top of that; and then we’ll incorporate everything pertinent to our grantees that currently hides in Access, Excel, and other places. I’m working on a much more detailed case study of this project for NTEN to publish next year. Secondly, we revamped our website, doing a massive upgrade from Drupal 7 to… Drupal 7! The website in place when I came to LSC was content-rich, navigation-challenged, and not too good at telling people what it is that we actually do.The four separate websites that made up our entire site weren’t even cross-searchable until we addressed that problem in early 2014. Internal terminology and acronyms existed on the front page and in the menus, making some things incomprehensible to the public, and others misleading. For example, we often refer to the law firms that we fund as “programs.” But, in the funding world, a “program” is a funding category, such as “arts” or “environment.” Using that terminology. along with too buried an explanation that what we actually do is allocate funding, not practice law ourselves, led many people to assume that we were the parent office of a nationwide legal aid firm, which we aren’t. The new site, designed by some incredibly talented people at Beaconfire-RedEngine (with a particular call out to Eve Simon, who COMPLETELY got the aesthetic that we were going for and pretty much designed the site in about six hours), tells you up front who we are, what we do, and why civil legal aid is so important, in a country where the right to an attorney is only assured in criminal cases. While civil cases include home foreclosures, domestic violence, child custody, and all sorts of things that can devastate the lives of people who can’t afford an attorney to defend them. This new site looks just as good on a phone as on a computer, a requirement for the Twenty-Teens. My happiness in life directly correlates to my ability to improve the effectiveness of the organizations that I work for, with meaningful missions like equal justice for all, defense against those who pollute the planet, and the opportunity to work, regardless of your situation in life. At my current job, we’re killing it. This entry was posted in Access to Justice, Life, NPTech, Technology, Web and tagged change management, cloud, collaboration, communication, data, drupal, lsc, nten blog, salesforce, strategy, vendors, webdev on January 5, 2016 by Peter Campbell.